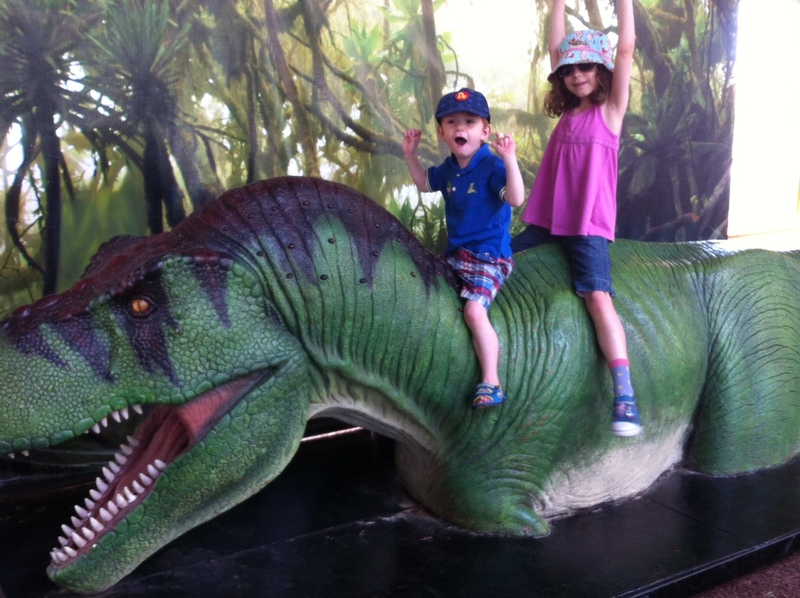 A Trip to Marwell Zoo! I went to Marwell Zoo with my family. I won the tickets by entering a Christmas Card competition. First we saw penguins.They were small and cute and I liked them lots. 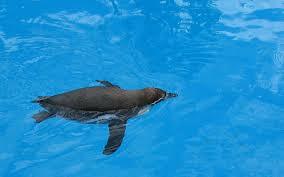 There was a under water bit where you could see the penguins swimming under water! Then we saw capybaras. They were pretty big, and brown! After that we saw a cheetah asleep behind a tree. We could only see his tail. It looked just like a yellow snake with black spots! Then we saw a few flamingos. The flamingos liked to be in big groups, but because there was only a few of them, they would not like it. 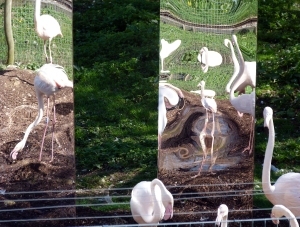 So the zoo keepers put mirrors around the flamingos to make them think there were lots of flamingos. It looked very funny to see them looking into mirrors. I thought they were admiring themselves! Then we saw a leopard in a little lair. It was as big as the cheetah. When we were walking up the wooden path above the lair we saw a robot dinosaur. It was big and scary. Then we saw some wild brown horses. They were very pretty. 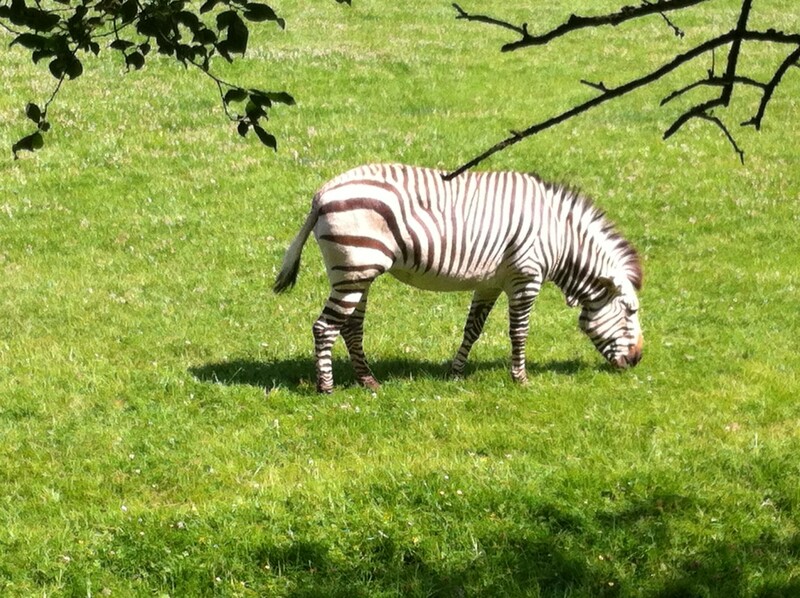 We walked past the zebras as we were trying to find the Red Pandas that Mummy loves. We found one at last asleep in a tree. 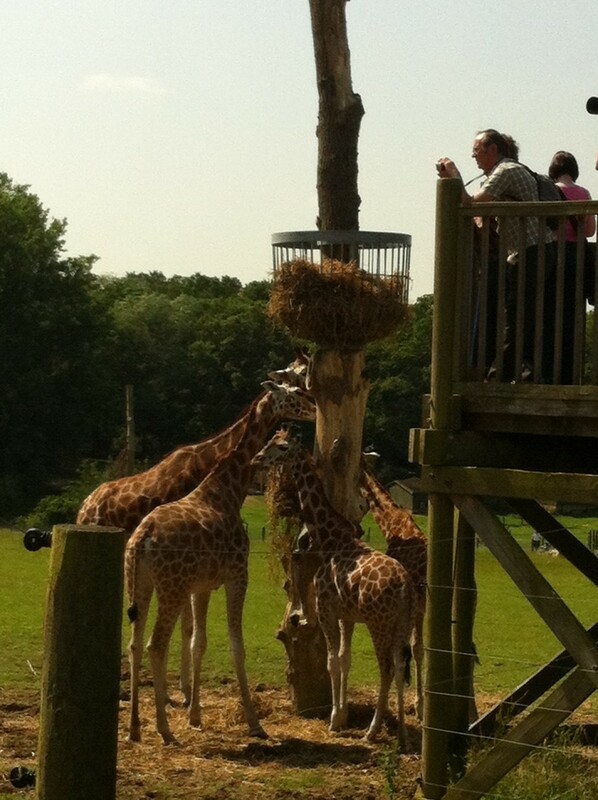 We went up more wooden steps to see the giraffes feeding. 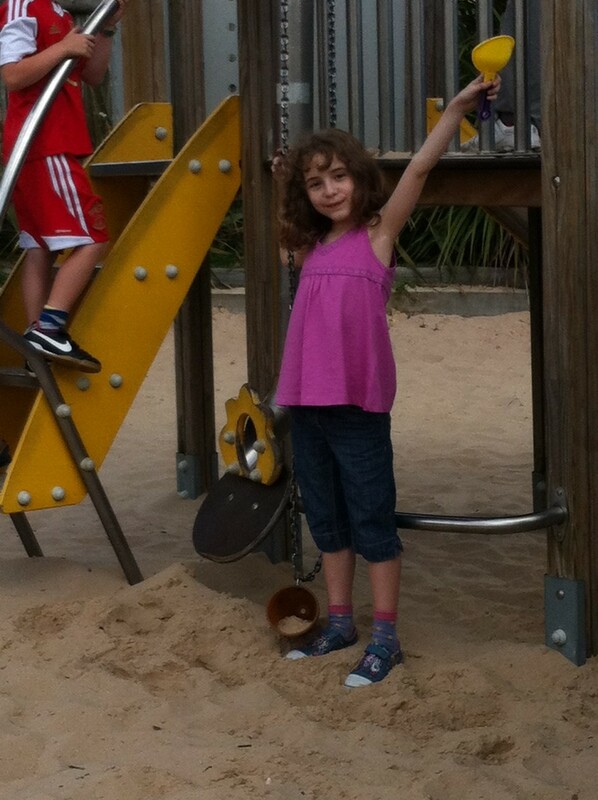 We went to the sandpit and playground and had our picnic. 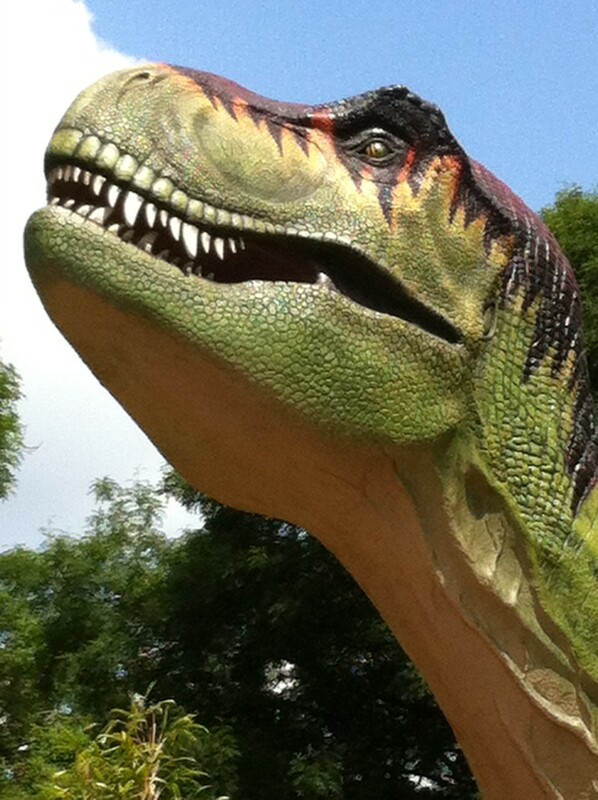 Marwell Zoo had a special Dinosaur event and there were lots of robot dinosaurs. Me and my brother rode a T-Rex which was wading in the mud. We walked through the aviary with the birds and met some mini hippos. 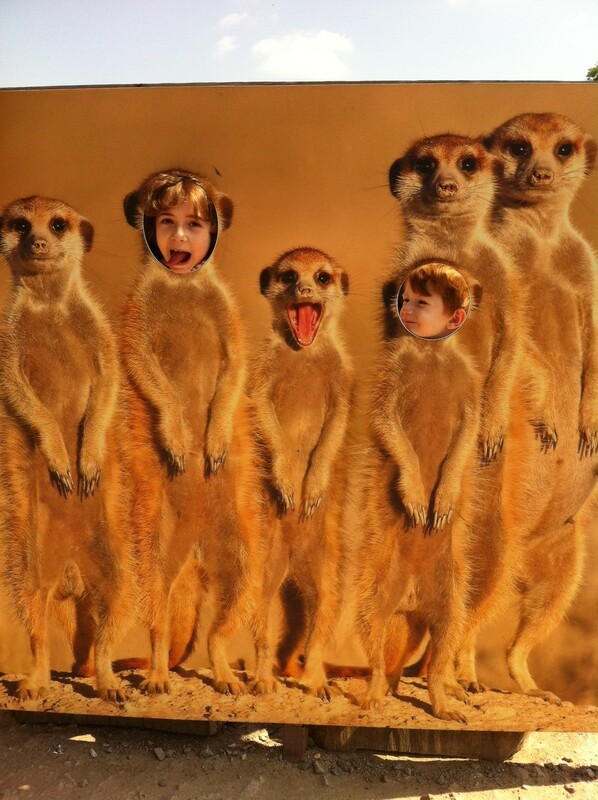 Just before we went home, we saw some cheeky meerkats! 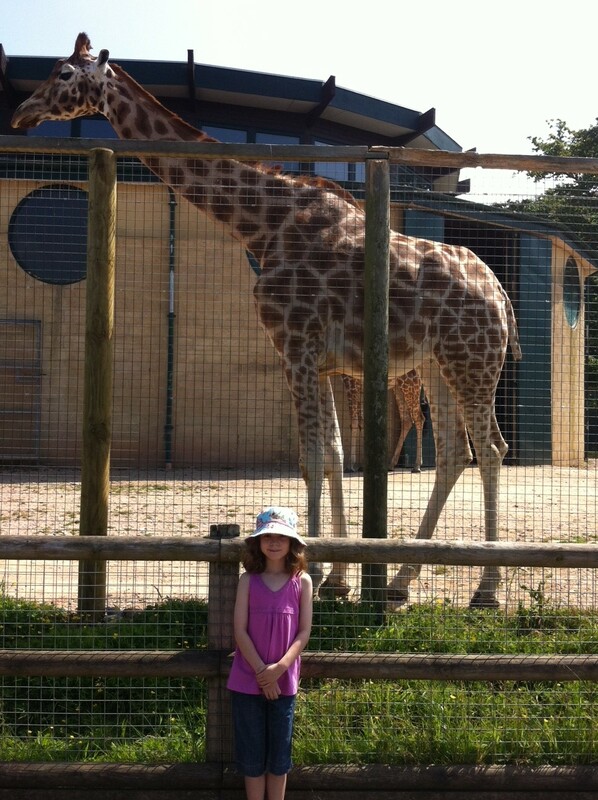 Our trip to Marwell Zoo was really good. I recommend everyone to go there! 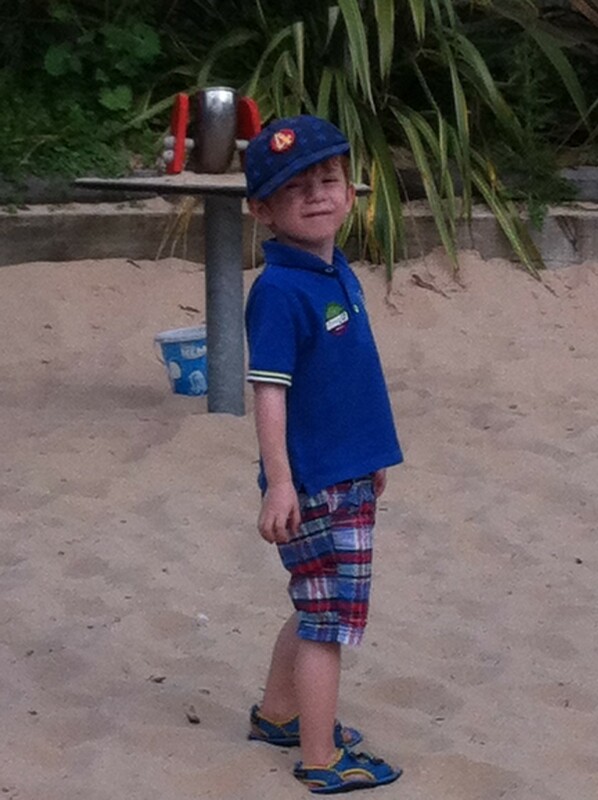 This entry was posted in Day Out and tagged Marwell, Zoo. Bookmark the permalink. Certainly on my ‘Places to Visit’ list ! !